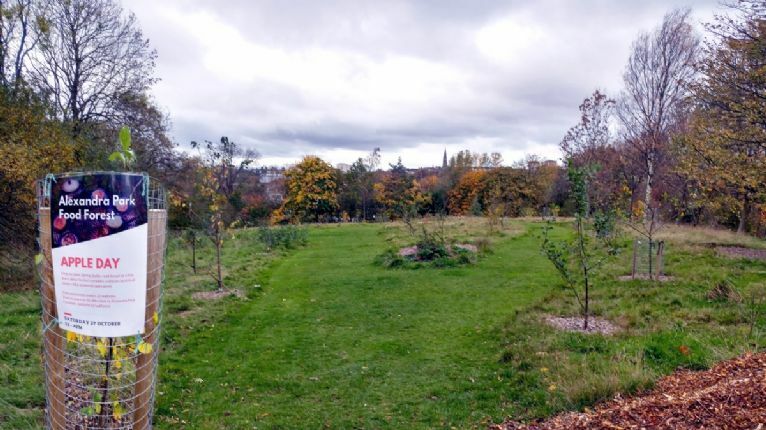 The Orchard Project opposite the Sports Hub in Alexandra Park, Dennistoun. Help plant spring bulbs, spread woodchip mulch, and learn to make and taste sourdough bread, vinegars, soups, herbal remedies and jam. Witness the testing of the Orchard Project’s new pedal-powered press that will juice the apples and pears. Glasgow East End Woodcraft Folk will also join them in celebrating the day with activities and games for kids between 12-2pm. You can find out more about there East End Elfins group. Alexandra Park Food Forest has recently been awarded £10,000 funding and plan to hold more regular workshops and events.